Traditionally, traffic cops have held up little signs to direct traffic. 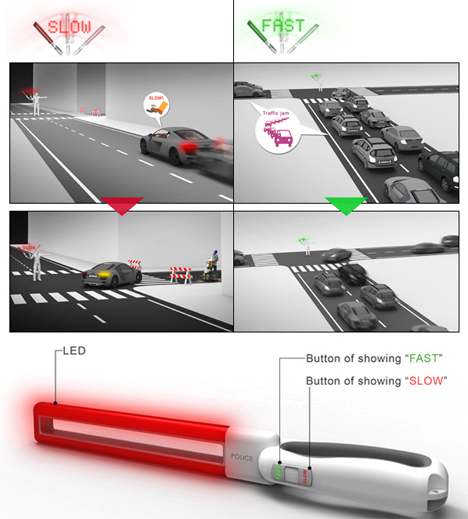 The Traffic Guiding Baton from designers Chih Wei Lai and Chi Wang is a funny but modern alternative to those analog signs. The baton works by lighting up a line of LEDs on its surface. When the baton is still, it’s difficult to make out what the LEDs spell out. 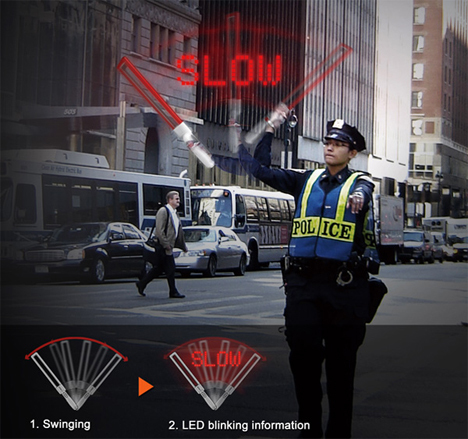 But when an officer waves it in the air, the LEDs spell out “Slow” in red or “Fast” in green. 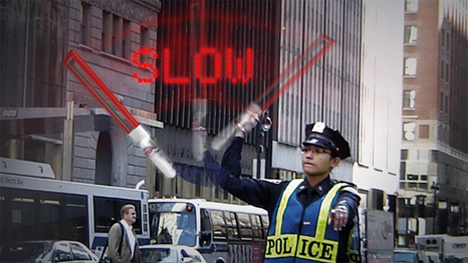 Although we’ve never seen a traffic cop actually tell people to go “fast,” the idea is very fun. It would definitely be more eye-catching than the typical “Stop,” “Slow,” and “Go” signs that they’ve been using for decades. We just hope their arms don’t get tired from all the waving. See more in Unbuilt Concepts or under Technology. April, 2014.